It’s been a busy week for Crytek. 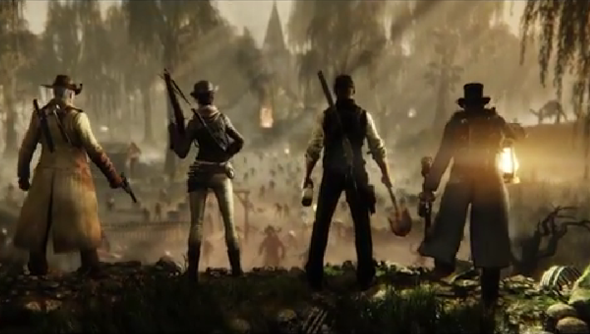 Yesterday they announced Homefront: The Revolution, an open world shooter set in a dystopian future, and today we learn that Crytek’s US-based studio are working on a four-player co-op game set in the 1800s. HUNT: Horrors of the Gilded Age tasks you with chasing down monsters and ghouls across graveyards, frontier towns, and bewitching forests. Besides your basic baddies, big bosses will make their appearance pretty regularly. These, Crytek say, will require all four of you to work together to take them down. HUNT is going to be part of Crytek’s game asa services range, alongside WarFace. This means that the game will likely be free-to-play and supported with regular updates but you’ll need to pay out to access all the game’s content. You can sign up for the closed beta on HUNT’s website. We should be learning a little more about it at E3 next week.